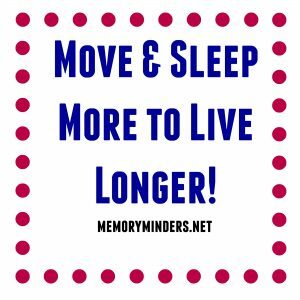 Get Moving & Sleep Well to Live Longer! Most of understand we should move and sleep more for better health. A new study shows it will help you live longer too. A study recently published of over 200,000 Australian people aged 45 and over concluded replacing sedentary time with more active time or even sleep resulted in a longer life span. The best results were seen with replacing sedentary behavior with walking or moderate to vigorous exercise. The results demonstrated that for each hour of sitting in a day, you increase your morality risk by 3%. If sitting was chosen instead of active exercise, that risk increased to 5-17%. Sedentary time was defined as sitting or TV/computer time combined. This means working at a desk, sitting on the couch, watching TV, or using a computer/electronic device with a screen. This sedentary activity was contrasted to sleeping, walking, standing and moderate to vigorous physical activity. The study used statistical modeling and not actual replacements of one activity with the other. However, the results clearly lend support to the theme that moving and sleeping is better than sitting to live longer. This also supports new practices of standing desks in office spaces. Most feel standing increases productivity; now, it seems it will increase your life span as well. The study also concluded that for those who sleep < 7 hours a night, replacing sitting time with sleeping time or even standing proved beneficial. It essentially says we need to sleep rather than sit and watch TV or be on a computer/phone/other electronic device. I cannot stress enough the importance of getting adequate sleep for your brain. We know the impact sleep has on our memory, but this study now proves that inadequate sleep can lead to earlier mortality. It also reinforces that our wake time should be active. When we begin this pattern earlier in life, it will strengthen this behavior through our older years. The study estimates based on British and U.S. data, people aged 70 and older spend approximately 65-80% of their wake time being sedentary. This clearly needs to change, not only for those older than 70 but for those of us who are younger as well. 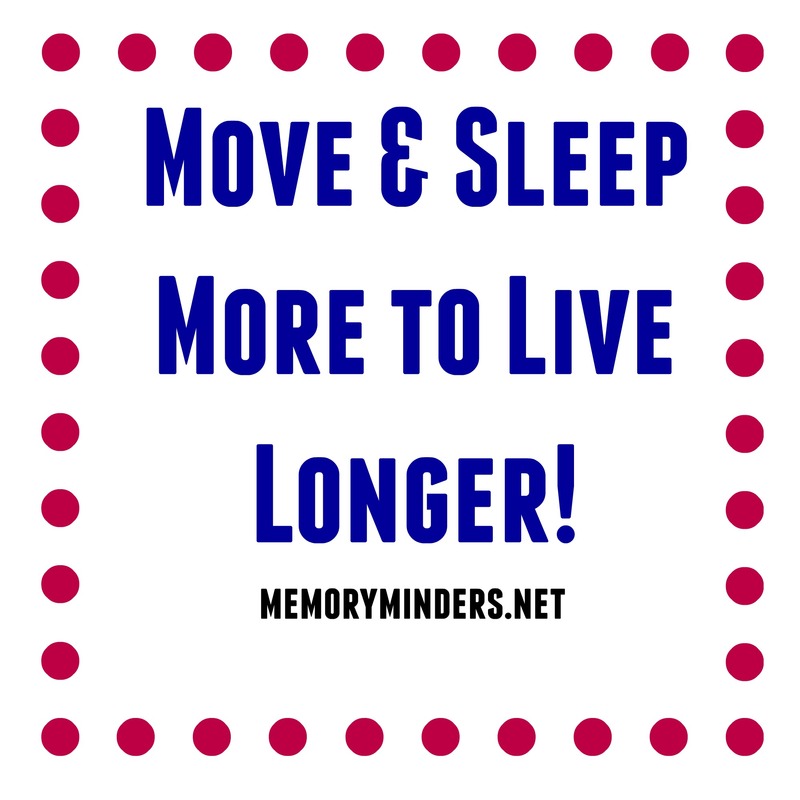 So get up, get moving and sleep well to enjoy a longer life!